We are always on the look out for driven, ambitious, skilled and well qualified people that want to join a successful, growing quality organisation. If you have these attributes submit a hand written cover letter together with your current CV and we will get back to you. Lattimer is only as good as the people it employs and that is why we are committed to investing in our employees, our continued success depends on it. Our latest industry vacancies and opportunities are published here. Send us your application (as above), and we’ll be in touch. Lattimer are looking to recruit a CNC Programmer / Setter / Operator for immediate start. The successful applicant will be required to engineer and manufacture a range of small batch, high precision, new and existing products. This is a multi-skilled position requiring substantial experience in milling and turning. •	Experience of CAM programming, with knowledge of FeatureCam being a distinct advantage. •	Experience with Mazatrol and Fanuc programming software. •	Experience programming, setting and operating MAZAK lathes. •	A time served background in milling and / or turning. •	Knowledge of how to programme set and operate vertical milling machines. •	Knowledge of how to programme set and operate driven tool lathes. •	Experience in process planning and new part introduction of small batch, high precision components. •	Must be able to work alone and use their initiative. This is an excellent opportunity for an ambitious, talented individual to join a successful, growing North West engineering business. If you have the drive, determination, commitment and ability, we would like to hear from you. Remuneration for this position will be dependant on your ability and experience. Lattimer are looking to recruit an innovative Manufacturing Engineer for immediate start at our Manufacturing Facility in Southport, Merseyside, UK. If you have the drive, determination, commitment and ability we would like to hear from you. Remuneration for this position will be commensurate with experience and ability. 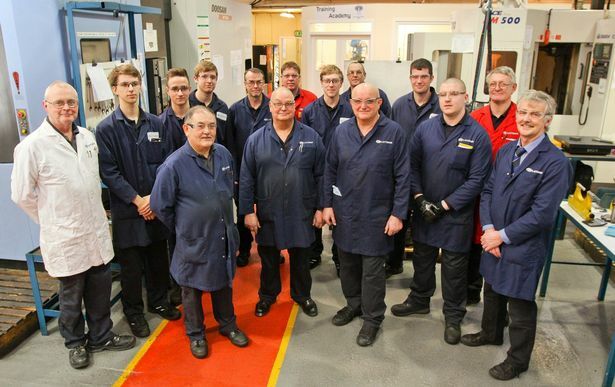 We are currently recruiting experienced and skilled CNC Milling, and CNC Turning, Setters and Operators for immediate start, at our Manufacturing Facility in Southport, Merseyside, UK. Applicants must be high quality, highly skilled individuals with a desire to succeed and should be able to demonstrate a successful track record in their area of expertise. Experience and familiarity with Mazatrol, Fanuc, or Heidenhain, CNC control systems would be a distinct advantage. Remuneration for all positions will be based on ability and experience. If you want to apply for a position please download our application form, fill it in with all the relevant details and send it back to us together with a cover letter and your CV. Thank you.